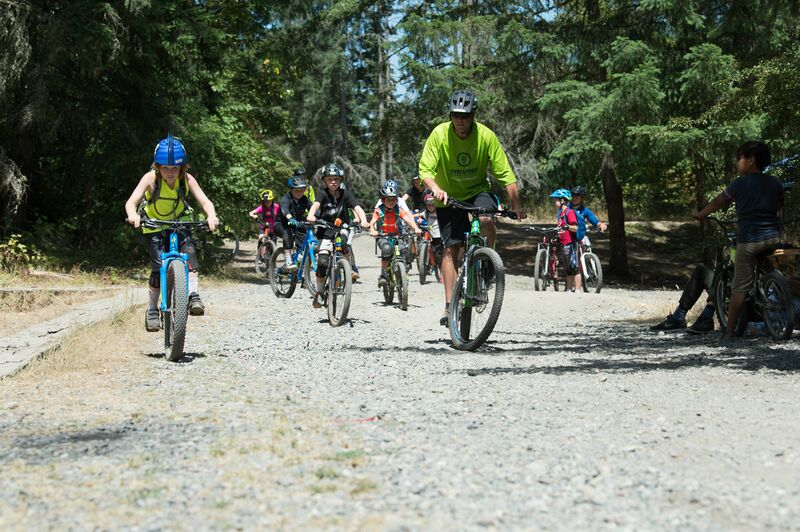 Evergreen MTB is excited to offer a 3-day mountain bike camp to cap off the summer! The camp will be similar to our youth dirt camps, starting the morning with skill builders before moving on to trail rides and specific mountain bike techniques (check out the specific skills outlined in the Youth Dirt Camp descriptions). Campers will be split up into groups based on an assessment of ability. Come prepared to have 3 days of fun!